February’s newsletter begins by announcing that Counterparty recently surpassed 71,000 registered assets. With this exciting news, let’s move forward with this month’s updates. Sarutobi Island follows previous updates provided in the last few Counterparty newsletters with some more details regarding SaruTobi’s next chapter. Now that Chapter 2 has been released – available to play on iOS and Android globally now – the original premise of the game that runs atop of the Counterparty protocol, expands to let allow SaruTobi; our misplaced monster rancher in training, to take on new adventures. With a tagline of ‘summon monsters using a combination of any counterparty tokens’ players can also utilize assets from notable counterparty project Age of Chains – or purchase tokens as part of a directed donation towards various charities. With various methods and types of tokens available the end-game is the same – to lead SaruTobi and the player into new puzzles and story modes. With this new chapter, Mandel Duck Developer Christian Moss has also recently published game hints to help players on their journey into chapter 2. Other updates from Sarutobi Island include more specifics behind Mandel Duck’s charity cards ‘Kizuna Bondy’ and ‘Save the Children’ whose in-game features include healing powers and a mini-game for their holders. Next steps for SaruTobi island include continued research and development on lightning network integration and progression towards Chapter 3. You can read more about this update and more via Mandel Duck’s medium publication. 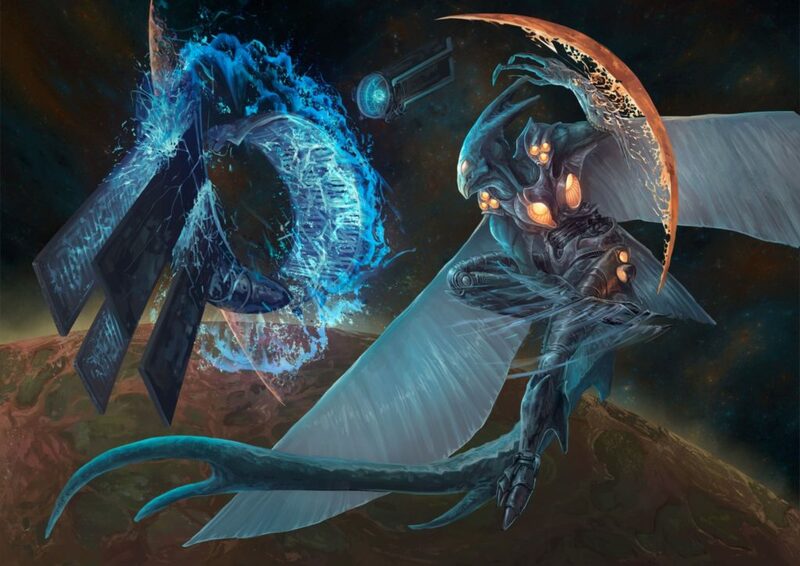 Spells of Genesis recently polled 200 of its community, gathering opinions on several aspects of the project; built atop of the counterparty protocol, combining strategic thinking and trading card game elements into a mobile game. With a collective, 90 percent of their users agreeing that gameplay is either ‘very important’ or ‘rather important’ the scalability and applied functionality of tokenization, more than ever, is demonstrated beyond its native definitions within this very project. Further, the blockchain aspects of the game are considered the main USP (unique selling point) of the project, with users highlighting the recent addition of ‘blockchainization’, blockchain cards (as tradable in book of orbs and usable in-game) and, BitCrystals; the game’s on-chain currency, as specific elements – though, the latter called for better integration within the game itself. Statistics about Spells of Genesis cards have recently been published on the official Spells of Genesis blog, providing an in-depth tutorial to users as to how they can achieve optimum gameplay via these assets. From this initial consensus, Spells of Genesis detailed prospective plans to further improve upon the recently implemented ‘blockchainization’ feature, game tutorials and PVP (player vs player) modes. A collective 70 percent consider the blockchain integration in the game significant (specific rankings can be found in the survey) but found frustration to be on par with that of the majority of the counterparty community’s experience with transaction fees on the bitcoin blockchain. As per our roadmap, these are concerns to be targeted with CIP 13. Augmentors has provided a series of both narrative heavy and technical updates in the past month. The first game built upon both blockchain technology and the Counterparty protocol to integrate augmented reality into mobile gaming, users are able to summon creatures into the real world. With the backstory behind them thereby important, the first update from the team introduces players to and further details the realms that shape the Augmentors universe and the home of the creatures, that players will encounter once the game is released globally. Further narrative updates are provided in the most recent update where the starter character (offered to all beginner players) ‘Markik’ is introduced. What is notable is, that Markik has already been tested globally as a result of the early backer alpha. The update that follows is more technical, specifying that the project is on track with their roadmap for Q1, which focuses on the core gameplay. Noting that the Databits Alpha (Databits being the in-game currency) is scheduled for the end of the Quarter, Q1 centers on polishing up the mechanics and additions of core gameplay features; that include in-game actions, localization support (such as language support) and Deck building. You can read more about these additions here. Age of Rust provides a significant update this past month. Reliant on strategic thinking and puzzle solving, the dystopian set game; built upon blockchain technology, launched its beta release on January 23rd to more than 1200 players – who have already formed alliances via the community discord servers. The Age of Rust team is encouraged to see the unity of players strategizing to solve puzzles as intended via these community channels. The Beta version of Age of Rust is the first to feature Counterparty assets, allowing players to link their supporting wallets to the game and integrate both Age of Rust and Spells of Genesis blockchain cards that they’ve been building during its development. The Beta and the final version will transform the cards and other assets into functional gameplay features, and players are also able to hunt for 4 BTC as well as small cryptocurrency prizes – such as more cards and Rustbits (the in-game currency). Over the coming months, Age of Rust’s developer, Space Pirate games will add more cards into the Beta as well final version features. Upon the completion of CIP 15, Age of Rust is excited to adapt the final version for segwit integration, as well as explore the potential of lightning capabilities down the line. You can sign up for the Beta via the Age of Rust parent Developer site, and stay up to date with Age of Rust via their medium publication here. FoldingCoin updates begin by stating that Founder Robert Ross is now full-time at the project. As a result, a timeline has been devised by the team at FoldingCoin, beginning with the forthcoming intent to publish videos and documentation; demonstrating how to fold in the most efficient ways. Further FoldingCoin updates from the January Team hangout highlight discussions to continue to work with Tokenly to build a merged folding platform, as well as keep the Public Trello roadmap and whitepaper revised and up to date. Improvements can be expected to be seen in the near future. Most recently, Robert was featured on a podcast with Gridcoin; another distributed computing project, where they discuss ‘value in the blockchain ecosystem’, you can check that out here. Blocksafe, a project utilizing the Counterparty protocol via its triggers tokens, has revised and added to its whitepaper in their most recent update. Its recent addition, informs the Blocksafe community of an update regarding master nodes in reference to the introduction of its AMMO rewards program (as mentioned in the last Counterparty newsletter). The revision provides more details as to the AMMO tokens and the newly – or soon to be renamed – TRIGX tokens. The revision reflects on the sidechain technology in the token economy of the rewards systems, as well as providing a burn report on the Triggers token in comparison to the when the project first began. Further to this update, the Blocksafe twitter has announced tentative plans towards integrative support for stun guns in the future. Seems we have some pilot request for our partner Triggersmart to work with Stunguns using $trig. So that is one of the next prototype in que for pilot. Indiesquare has some exciting news in the pipeline. The Bitcoin and Counterparty wallet from the API Developer is undergoing a redesign. This will include the highly anticipated RBF (replace by fee function) – though there is no definite ETA on this as of yet. Developers are working towards releasing the new design next month. Indiesquare will also be implementing multi-blockchain support into their wallet, giving the multi-chain options to those with fee frustrations. They will also be developing tech to allow atomic swaps to occur within their interface, allowing users to swap tokens between chains. As per Counterparty’s eventual roadmap goals, Indiesquare developers are also working on a lightning wallet prototype. Bitcorns, a project wherein you ‘hodl’ (do not sell) CROPs; a token launched on Counterparty’s native XCP token, launched its ICO today. The game implores players to accumulate BITCORN in-game via CROPS tokens on-chain. In a game of wills, players must practice patience when accumulation typically means monetary value. More details can be found alongside a pre-ico alpha release on the project’s website. Rarepepe.party continues to develop towards a final product, teasing that a playable version of the game will be released soon. However, the team behind the project cautions that initially, the game will have pre-alpha capabilities before rapidly being revised. In other Rare Pepe news, submissions are now open for series 31 Rare Pepe Cards in the Rare Pepe Directory. Series 31 has kicked off at the Rare Pepe Directory . Submissions are open with a 200 PEPECASH fee to get your Rare Pepe listed on the blockchain! Age of Chains shares a brief update this month. Making strides in the Counterparty community, the project presented its blockchain based, trading card video game, at Rare Digital Art Festival recently – notable for its trade of CryptoArt. In other news, the Age of Chains team is about to release their (014) blockchain card; Thanatos the Rippler, with a limited supply of 10K cards. The cards will be available to buy and sell in Book of Orbs, as well as playable in SaruTobi Island. The main focus of Counterparty news this past month centered around the Rare.af (rare digital art) festival in New York City. With numerous mentions across news outlets in recent weeks since the event on January 13th, it was Rare Pepe that was the main talking point across the majority of articles. With coverage spanning the topic of the Blockchain meeting the subculture that is ‘CryptoArt’ – to paraphrase an article by art market monitor – it is the first piece of many to highlight what a few Counterparty projects have done; tokenize art. As the article defines, “Crypto-art [is] where digital art works and the blockchain have merged to create unique digital images that can be traded”. Notably, Rare Pepe is quite possibly the most popular with tradable assets to be used cross-platform, but there are also projects such as the Scarab Experiment – which holds a more traditional and literal – digital exhibition premise. Other projects such as Age of Chains, also take a high value in the artwork they produce with their tradable digital assets. Going back to Rare Pepe, the article is the first of many to mention the highlight of the festival, where ‘Homer Pepe’ broke a record when it sold for $39K or $350K PCSH (Pepecash) during a live auction. Within the hour, the auction totaled $100K in cryptoart sales. This article references an original piece by Jason Bailey that elaborated that Cryptoart in the context of festivals such as these are what are known in the crypto forums as ‘rares’ or more typically digital trading cards. The article is a highly detailed piece highlighting artists from multiple chains, including those within the Counterparty protocol. When talking about Rare Pepe, Rare Pepe Wallet is mentioned as creator Joe Looney was brought into the article. Quoting Joe, Rare Pepe is the prime example of CryptoArt society; noting that “there were these rare digital Pepes, and in some cases, you couldn’t show them because they were too rare.” – explaining that the scarcity afforded by the blockchain has further expanded their value and tradability ( as afforded by outlets such as Rare Pepe Wallet). Rare Pepe Wallet garners another mention in an article from Motherboard. Also covering the festival, the wallet provides a useful context and resource for newly interested Pepe collectors who read about the “origins of the Rare Pepe phenomenon” from the article. Besides the notable high-value Homer Pepe, the article also mentions the sale of the Rare Pep-ized ‘The Persistence of Memory’ aka Dali’s melting clocks, which sold for $720. Another interview with Joe from the festival can be found here. An article from DADA.nyc continues on the concept of cryptoart, detailing that it is “affordable, ownable, and sellable. In this, it replicates traditional art but soon it will do it on a massive scale”. With Blockchain technology, the piece also highlights how the purchase of art in this context is also an investment. Counterparty draws a specific mention again via Rare Pepe’s success at the festival. Other exciting news from the festival includes a sit-down interview with Shaban Shaame; the founder of EverdreamSoft – parent company of Spells of Genesis and Book of Orbs. The article provides an insight into the origins that spurred the conception of Spells of Genesis, one of the first blockchain based video games and how rare digital art will play a role in gaming over the coming years. The Counterparty community should be cautioned by the appearance of numerous fake Counterparty facebook pages circulating in recent weeks. These pages can appear legitimate with use of the Counterparty logo, or alternatively present themselves as some variation of ‘Counterparty Investing’, ‘Counterparty Blockchain’ etc. Please be warned, that these pages are often tagging user profiles or sharing your private material in order to promote a phishing scam in which they present a loyalty and/or refunds scheme on behalf of the now-dissolved Counterparty Foundation. This is a scheme designed to access the funds from your wallet, and it will link to a site wherein you are asked to enter your passphrase. Please do not click any links and report the page where possible. Facebook community standards are complex but thus far, it is our knowledge that two pages have successfully been removed. Please note that both the official Counterparty twitter and facebook pages appear under the handle @CounterpartyXCP and Counterparty will appear as simply ‘Counterparty’ on facebook. Counterparty users should only use wallets linked from the Counterparty wallets page. Due to recent events, ETAs for all CIPs have been delayed and any new ETAs should always be considered tentative. We welcome the support of any willing developers that would like to review the status of CIPs on GitHub and reach out to Counterparty to work on CIPs for bounties. CIP 10 and CIP 6 are subject to peer review but have been assigned a tentative ETA of mid-February by John Villar. However, there is no ETA at this time for CIP 15 (segwit) though it is welcome for review by developers. You can stay up to date with current and future CIPs, as well as find links to relevant GitHub pages via the Counterparty donate page. P2SH data encoding will allow Counterparty to utilize more space for transactions. CIP 6 will be beneficial to large transactions and is a prerequisite in supporting some of the more advanced send types, such as multi-peer-multi-asset (MPMA) and Multiparty Counterparty Aggregate Transactions (MCAT). Multi-Peer Multi-Assets sends will allow many assets to be sent to many peers in a single transaction, simplifying batch transactions, and reducing transaction fees even further. Enabling Segwit support within Counterparty will enable users to spend less on transaction fees and enables potential future enhancements. Updating Counterwallet will allow users to choose if they want to send assets to a segwit enabled address or a traditional address. MCAT will allow Counterparty users to group their transactions with those of other Counterparty users, to reduce their sends costs considerably. Most users will be able to utilize this feature to send transactions for less than the cost of a single bitcoin transaction. CIP 13 will also allow Counterparty users to utilize MCAT nodes, to send assets across the Counterparty Network, and pay for the transaction fees in an asset other than BTC. 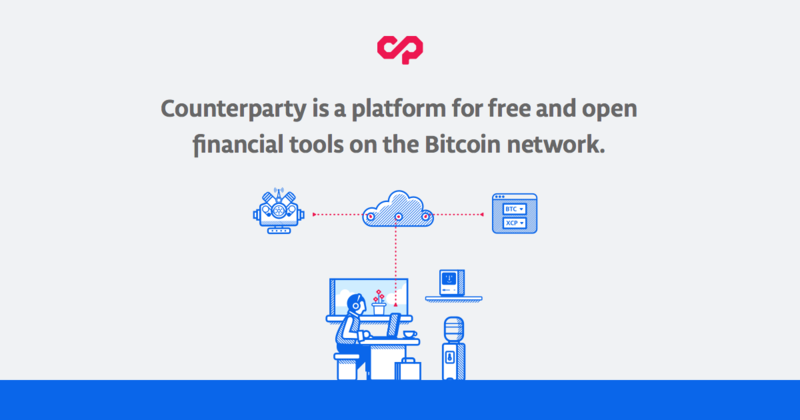 Counterparty is an open-source, community-funded project which progresses solely through the generous time and monetary donations of others. Again, please visit our donations page to stay up to date on the current bounty and development status of any CIPS, and consider making a donation to support their continued development. Alternatively, please share or RT Counterparty CIPs on social media so we can help fulfill them faster! Counterparty hangouts are scheduled to happen more regularly. Please stay alert on all of our social channels as to when the next Hangout will be scheduled! However, if you are unable to join us, it will be posted on Counterparty.io shortly thereafter. We have also recently opened up a press channel for any media inquiries and would ask any media outlets to contact press@Counterparty.io. Please join the @Counterparty_XCP group on Telegram for breaking news and real-time Counterparty conversation! Disclaimer: This newsletter is sent as an informational piece, and no part of it should be taken as financial advice.